Charlie Walker says that music is his personal ministry. "God created music, in my opinion, to touch people's hearts in a way that just words can't," the Christian Country artist says. "You can go talk to somebody until you're blue in the face, and they're not going to hear anything, but they might hear a song that says something, and God speaks to them in their heart because of that one song." Walker will share his ministry during a concert Saturday evening, April 13 during Cowboy Church at Powell Butte Christian Church. "We do the concerts to allow people to come hear some great gospel music and build a relationship with some wonderful performers," said Amber Turnage, who is one of the Cowboy Church worship leaders. "We have Cowboy Church with many local groups who provide music and then also several pastors who preach the word, but the concerts are special events we like to provide for the community." She invites the community to attend the potluck at 6 p.m., and the concert, which follows at 7 p.m.
"I try to bring in a variety of worship teams to appeal to more people who would like to come," Turnage said. "We are blessed to have Charlie three or four times a year as he is able." And Walker enjoys sharing the gospel though song, scripture and personal testimony. He was born in the woods of Western Kentucky, where his love for country music and the country lifestyle began on a tobacco farm. His family moved west to Prineville when he was in eighth grade, and he has been there ever since. "I've sang since I was a kid. My mom had recordings of me when I was a little kid," he says, adding that when he got into high school, he sang with several choirs. He eventually began to sing at weddings and special events, and in the mid-'80s, he and his buddy Mark Mobley formed the hometown country band Countryfied. He learned to play guitar when he started playing with the band, but he says it's nothing fancy. "I got tired of having to call a piano player every time I needed to go sing a song," he chuckles. "So, I picked it up and learned on my own, pretty much." Countryfied performed at fairs and conventions, opening for big-name acts all over the Pacific Northwest. "I played there for a while and felt God calling me in a different direction with the gift he'd given me, and I branched off back in '97," Walker shares. He resigned from Countryfied and began his solo career as a Christian Country artist. 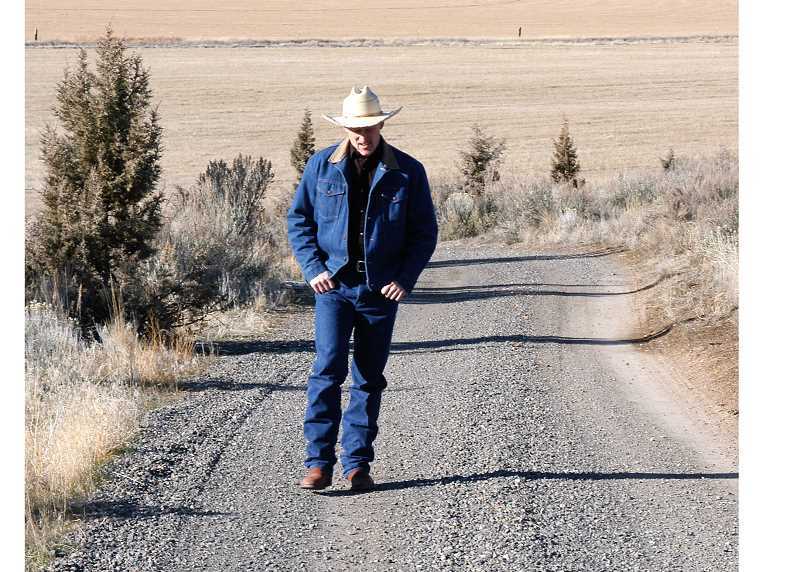 He began developing his gift of composing, and one of his first songs was "God's Country," about Central Oregon. 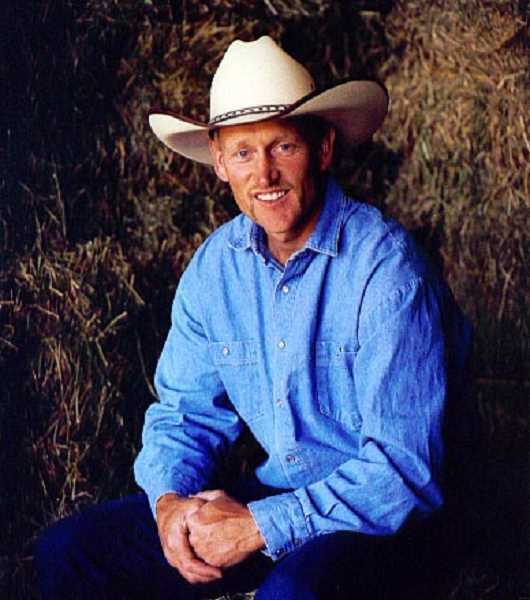 By 1999, he had completed his first album, "God's Country." Since then, he has written numerous Biblically based and life-inspired Christian Country songs, which he performs in his concerts. "They're songs that are the country style, not mainstream country, but in the sense that it has a meaning and a message to it that you can understand," he chuckles. "Shut Up, Sit Down and Learn to Listen," perhaps his most popular song, he wrote during one of life's low points. "I busted my ankle up doing the Splash 'n Dash on the Fourth of July, and I was down for quite a while, and I felt God was saying, 'Shut up, and sit down, and learn to listen.' I didn't have any options at that point because I couldn't do much else," he says. In addition to "God's Country," he has released two other albums with his original works and one hymn album. He released "Rest in His Promise" in 2002, "Come Home" in 2007, and the hymn album, "Near the Cross," in 2009. Other songs include "Attitude Adjustment," "Rock of Ages" and "Daddy Did You Know." "I haven't done any writing over the last five or six years. Life's gotten a little crazy, I guess — at least that's my excuse," Walker says. He performs in Oregon, Washington, Idaho and Northern California year-round at churches, festivals, fairs and church picnics. "A 10-hour radius is what I call my area," he says, adding that he usually performs a couple weekends a month. He also leads music Sunday mornings at his church, Prineville Bible Church. When he's not on the road or performing locally, Walker and his wife, Charlene, and their three children, ages 10, 11 and 12, are working on their little farm, Auntie Bean's. He also raises hay, cattle and sheep. He looks forward to the Cowboy Church concert. "I do the old hymns, as I like them traditional, but I also like to freshen them up just a little bit," he says of the songs he'll sing during the concert. "Sometimes, I don't know until I get there and know what's on my heart and what God's saying to me that day." He says the melody, instruments and words work together to create the message, and he loves sharing that with folks and encouraging them. "I like sharing the gospel," he says. "I'm not a stand-on-the-street-corner kind of preacher-type guy, but with the music, I can share the gospel in the way that God has gifted me." Charlie Walker CDs will be available.